One of the oldest pubs in Kilkenny City. 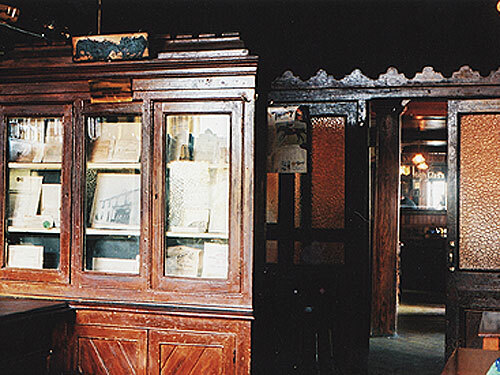 We pride ourselves on maintaining the "olde worlde" charm that has been eroded from many Irish public houses and you will see our facade and interior has scarely changed since we were originally a merchant trader house together with selling local brews. To say it is a refreshing experience to visit Lenehan's does not really go far enough. It is as if you are stepping back in time. 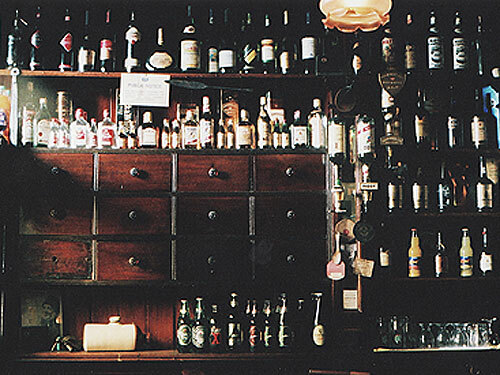 The bar is adorned with old drink advertisements, hurling memorabilia, mirrors and wooden kegs with the names of favourite tipples of yore and present. There is even a collection of chamber pots on display in the bar..hopefully no emergencies will require their use! 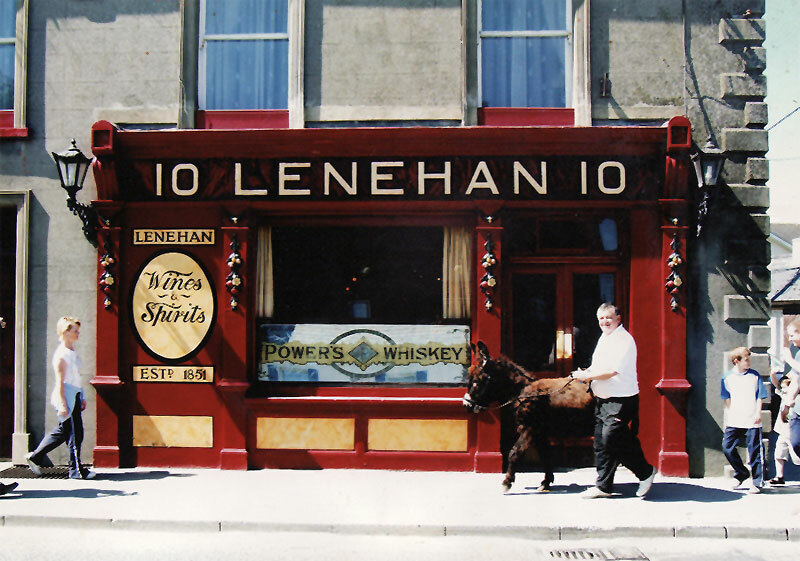 Entering Lenehan's from the Castlecomer Road you will first come through the mellow lit snug and front bar which housed the grocery shop. Clear evidence of times gone by are immediately visible in the spice drawers behind the smooth wide mahogany counter. This snug is a favourite of the local clientele who will be found in their favourite spot at the bar drinking their tipples. No words need pass between the bar person and the locals when ordering, a nod of the head and lift of the glass is all that is required to get the next round in. We are told that we serve an unrivalled pint of Guinness...and who are we to argue with the opinions of "our regulars"! The proud owner of Lenehan's is Jim Lenehan and his wife Carmel. Jim's mother was born down the road in Troy's Gate Bar and indeed Jim's father hailed from the Kilkenny House, which is now O'Gorman's. 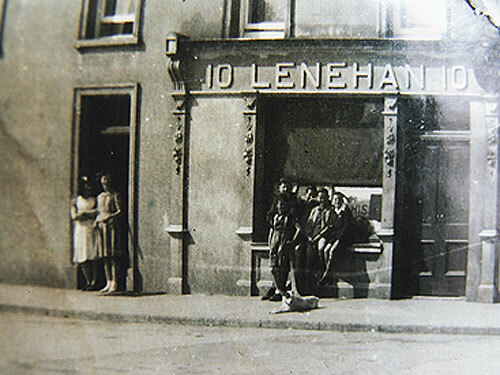 The Lenehan family took over the pub in 1912 from Harry Long and while Jim and Carmel have a regular presence in Lenehan's still, with a word for everyone, Lenehan's is now primarily run by the next generation, their daughter Jane and her husband Kevin. 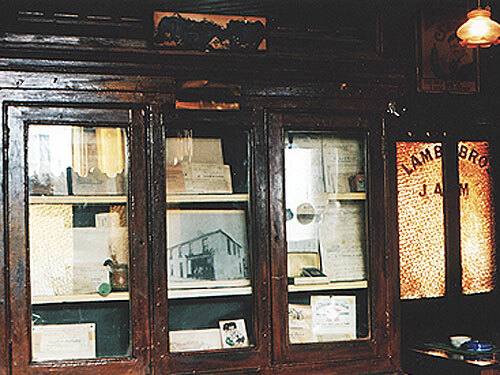 To say that Lenehan's has historic importance is an understatement. Lenehan's was built in 1755 before the famine and evidence of this date was found on an old chimney upstairs. Indeed papers dating back to 1880 were found in the loft . The building itself is very impressive with it's beautiful facade fronting onto the Castlecomer Road and trailing down Barrack Street. The building is a two story building with the traditional cellar for storge underneath. The cellars are divided into three sections and at one time housed a kitchen. Originally the pub grounds housed cattle and horses and the local traders would be known to avail of the animal residence's at times! 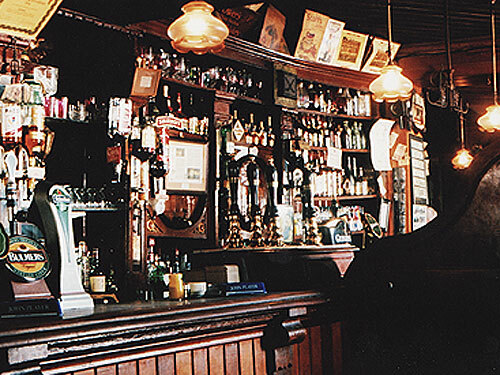 You know that you have found a special place when a pub has not changed in more than a century and the Irish take it for granted..and that's the way we like it!!! !